YOUR OWN PIECE OF PARADISE!! 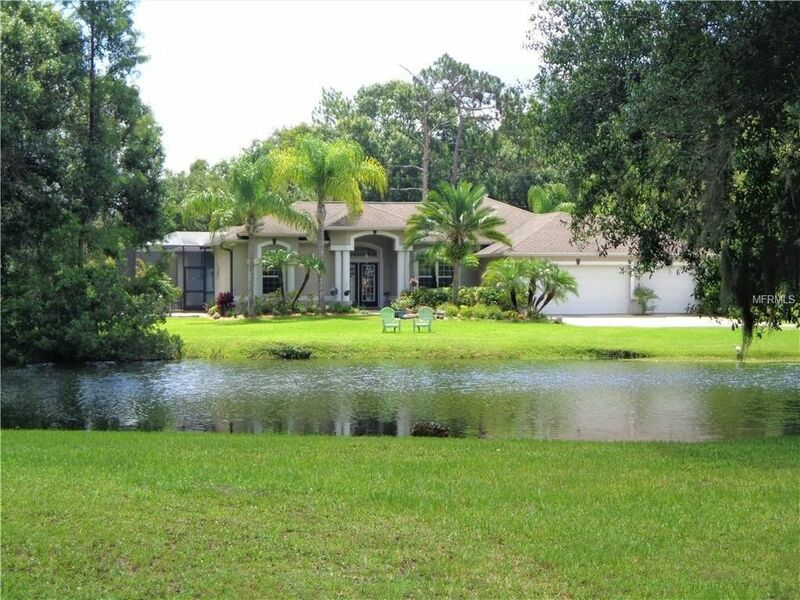 Absolutely Beautiful 3BR/3Ba 3 Car Garage Pool Home on 3.73 Acres. You are going to fall in love when you pull in the drive of this home. Featuring 2 ponds, small Golf Green, New Inground Pool with a waterfall that you can see from almost every room in the house. Nice Open Kitchen with Wood Cabinets, nice size bar area that all overlook the Large Living Area with Pocket Sliders leading out to the Pool which is great for entertaining your guest. Also, you have access to the guest bedroom and Bath as well as the Master Bedroom and Bath from your large Screened Enclosed Pool. Large inside Laundry Room, nice size pantry and a Separate Dining room area as well as a breakfast nook. Don't wait on this one, it wont last long! Directions: From Ehrlich Rd go N. on Bellamy to Right on Renfro. Once on Renfro, take the first left, home is down on the right.